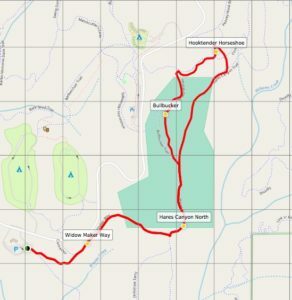 Loop 3 is a 2.10 mile hike using 4 trails. 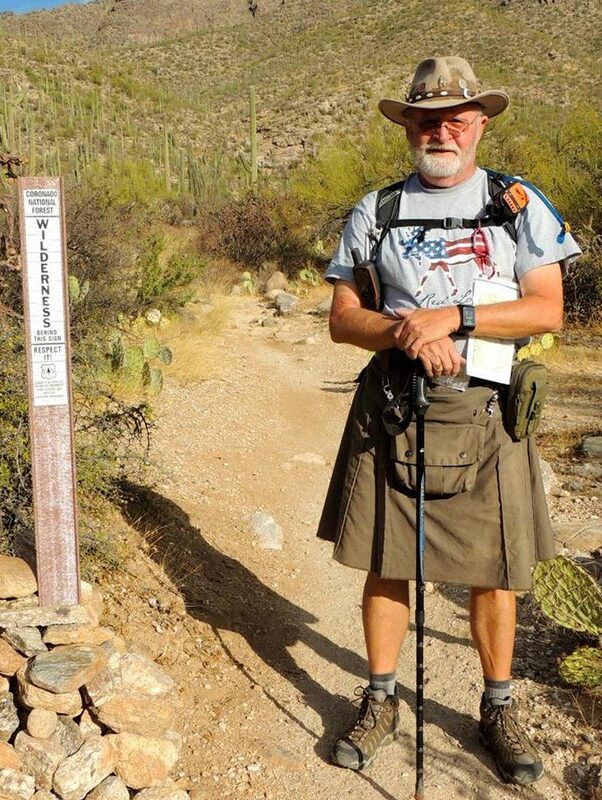 start at the SE corner of the Welcome center parking lot and take the first trail on your left. Widow Maker way. Continue to Hares Canyon and veer left and continue till the junction of Hooktender Horseshoe, turn left and follow till BullBucker then left. Follow this back to Hares Canyon veer right back to Widow Maker way to parking area. Trail surface is hard packed earth. Elevation gain is 272 ft. Hiking difficulty is easy.